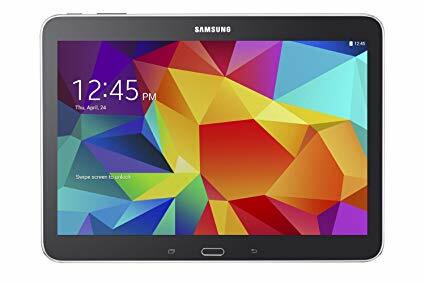 The Samsung SM-T530 Galaxy Tab 4 operates with Android 4.4 Kit Kat OS and a 1.2 GHz quad-core processor. The tablet contains a high-resolution 10.1” display, along with 2 GB flash memory, 1.5 GB RAM memory, and 64GB of memory available through a microSD slot. On top of this, the tablet also champions a 3MPl rear camera, and a 1.3MP front camera to capture high-quality imagery and video. For more information on Tablet hire, contact our sales team today.